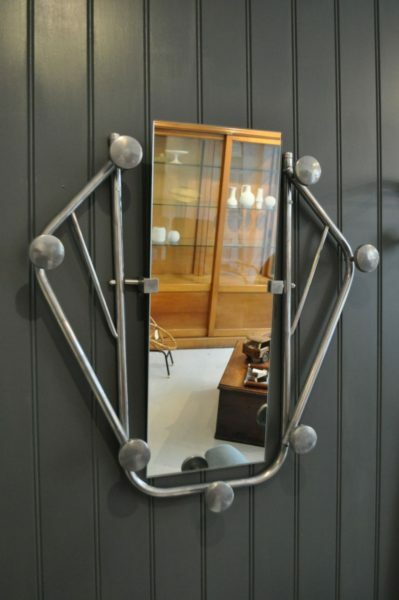 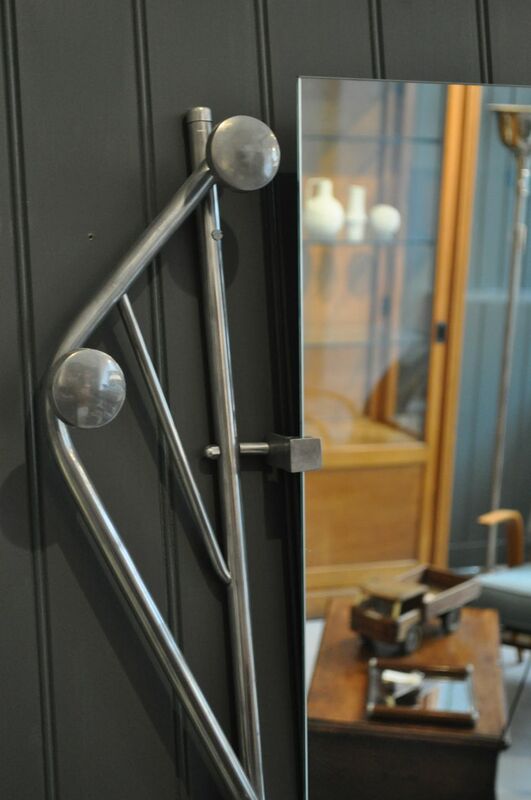 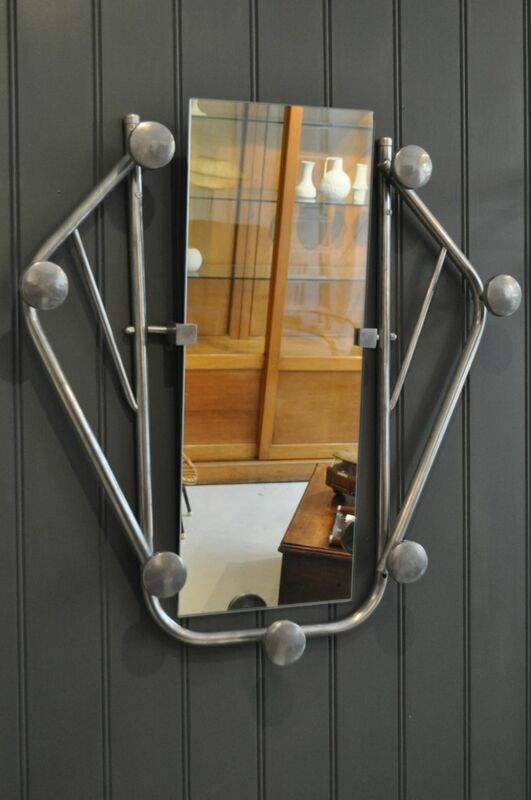 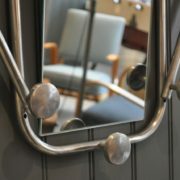 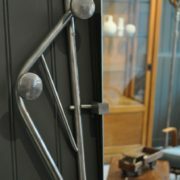 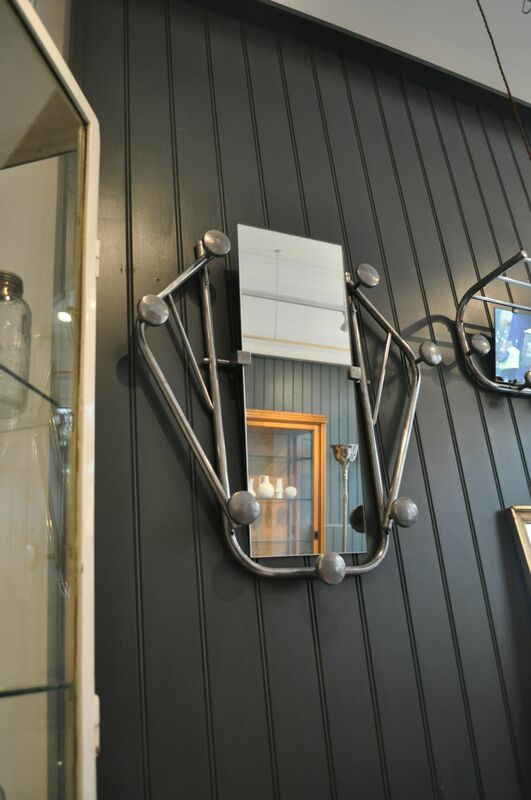 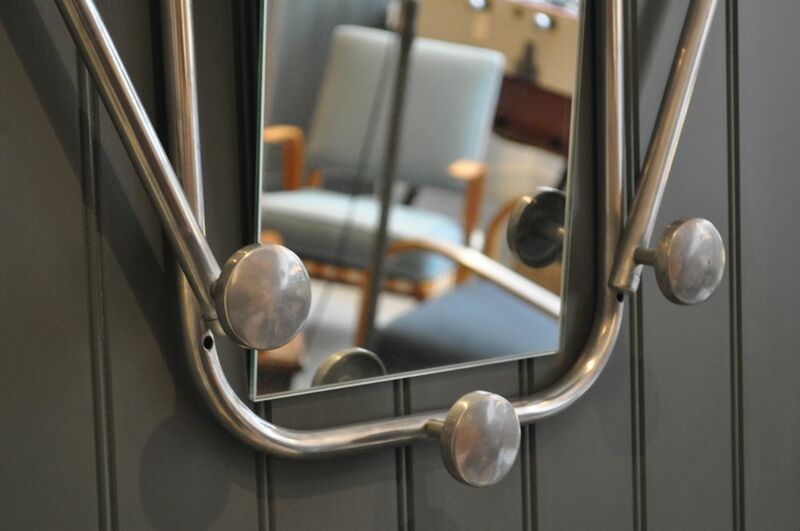 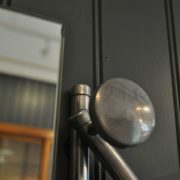 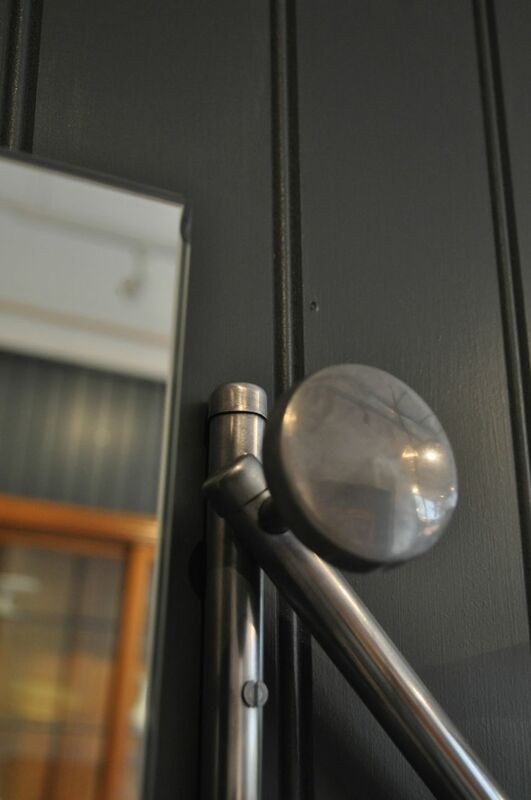 French aluminium coat rack with a central mirror flanked by seven large circular hooks. 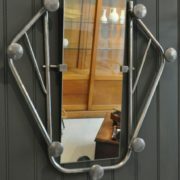 Very good condition with just the very tiniest of nicks to the corner of the mirror (please see pic). 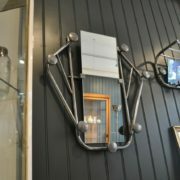 Requires just four screws for wall fixing.